Are you ready for a trike? We have TerraTrikes in stock! 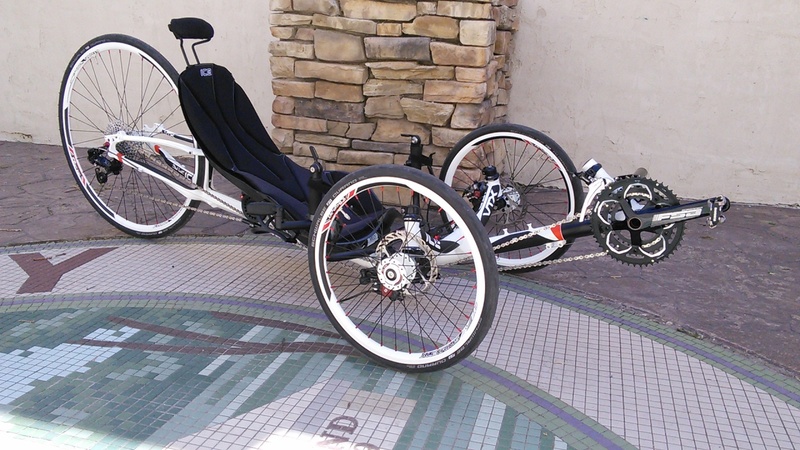 At Utah Trikes we build each trike by hand and take the extra steps to make sure your happy. We spend all day building, testing, tweaking, and riding trikes. We are not a bike shop, all we do are trikes. We start by fitting all the steering components and ensure that they rotate freely. We adjust the brakes as if we were tuning our own trike. Each wheel is inspected to make sure they are true and will maintain proper alignment. All our TerraTrikes are shipped fully assembled. When it's delivered to your home or business, just put air in the tires, adjust your seat, and ride! For our local customers, we offer free test rides all day long. No need to make an appointment. We usually have every model in stock, ready to go. We also stock all the accessories, upgrades, and modifications that you'll find in our catalog. Most upgrades and modifications can be installed the same day. If you can't come down and take one for a spin, then check out our video page to see what you're getting into. When you are ready to purchase we make it easy. We accept VISA, MasterCard, Discover, and American Express Credit cards (also debit cards for local customers). We also offer special financing available with our own Utah Trikes store card. Click here to see why should you buy a trike from Utah Trikes.